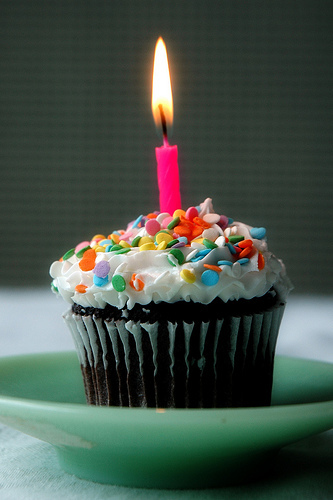 This month, The Jizo Chronicles celebrates its first birthday. (I can’t decide Jizo’s gender, and historically Jizo is gender-fluid anyway. Thank goodness.) A year is not much in the human realm, perhaps, but a pretty good feat for the blogosphere. And now I understand why… it takes a certain level of commitment and creative imagination to continue posting new material week after week. The biggest thing I’ve learned this year is what an amazing virtual sangha of Buddhist bloggers is out there. When I started TJC back in November of 2009, I was only aware of Danny Fisher’s great blog. It’s been wonderful to meet so many new sister and brother bloggers who inspire me and challenge me. Many of them are listed in the right sidebar… I encourage you to check them out. Four bloggers who I have come to particularly appreciate for the depth and quality of their thinking and writing and willingness to grapple with tough issues are Katie Loncke, Nathan of Dangerous Harvests, Rev. James Ford of MonkeyMind, and Arun of Angry Asian Buddhist. My intention this year with TJC has been to explore how my own dharma practice informs how I look at and act upon suffering in the world, and to share stories and information with all of you that are relevant to that topic. This one is fascinating to me… for some reason, this quote from Thomas Merton came out in spot number two, with 547 viewers. I didn’t do anything to promote it, but it seems to have taken on a life of its own and pops up every week in my statistics as one of the most viewed posts. If you have any favorite Jizo Chronicle moments from this past year, or if you want to let me know the kinds of posts you’d like to see more of, I’d love to hear from you. Just drop a comment below. Even just to say hi. Bloggers love our readers…we’d be nothing without you. I’ll have one more birthday celebration post next week with a special giveaway coming up. Most of all, thanks for reading along with me and Jizo this year! I for one, as a newbie here, am truly enjoying The Jizo Chronicles although I haven’t spent as time here as I would like to. I love the diverse posts, PLUS all the time, and dedication it takes to keep such a wonderful and thought provoking blog going ! Our personal lives get so busy sometimes that well, let’s just say many a blog has fallen by the wayside over the years for lack of nourishment…..
Here’s to many more celebrated birthdays or anniversaries Jizo ! Happy Birthday, Jizo! Looking forward to many, many more! Thanks so much, Danny, Judy, and Seth!